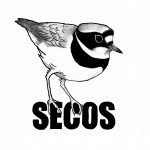 These are some of the major sites for birding in the SECOS area, including a brief summary of the site and a grid reference of its approximate centre. Some of these are on private land with no public access. Please respect land ownership. Extensive area of water formed by quarry workings. Extensive area of water formed by old quarry workings and now used for water sports and angling. An overgrown mere still with some water and reed beds and a designated SSSI. A 16 hectare site of mixed habitat adjacent to the Salt Line, managed by Cheshire East Council. A large working sand quarry owned by WBB Minerals. A Cheshire East Council Country Park comprising a water-filled quarry and surrounding mixed woodland. Primarily a Business Park but managed very sympathetically for wildlife. Adjacent to Quakers Coppice. Situated at Haslington. It also includes the Valley Brook and surrounding woods. A very extensive area of mixed woodland and farmland. Includes two large lakes, woodland, the Hall and grounds. Large area of woodland including a lake. An area of wet meadows between the A500 and the railway line. This area had deep drains installed during 2018 and is probably now destroyed. It will be monitored to see how it reacts. A sandstone ridge of moorland habitat giving extensive views over the Cheshire Plain and which forms the Cheshire / Staffordshire border. A wood of six hectares on the south side of Crewe owned by Cheshire East Council. A 1300 metre-long lake with islands and extensive reed beds, surrounded by woods. The SECOS bird hide overlooks one end of the pool. Large area of mixed woodland on the side of Mow Cop, like Welsh hill valley habitat. A well surfaced trail along the old railway line towards Alsager, managed by Cheshire East Council. Farmland and mixed woodland by the River Dane. A small (but important in a SECOS context) area of upland moorland and conifer forest. Previously known as Hulme Walfield Sand Quarry, now a trout fishery.